This week, readers of this blog will be treated to an in-depth exploration of Caribbean reefs. Now you don’t have to take a vacation or wait for the Discovery Channel to deliver your ocean fix, courtesy of Shark Week (starting August 10). 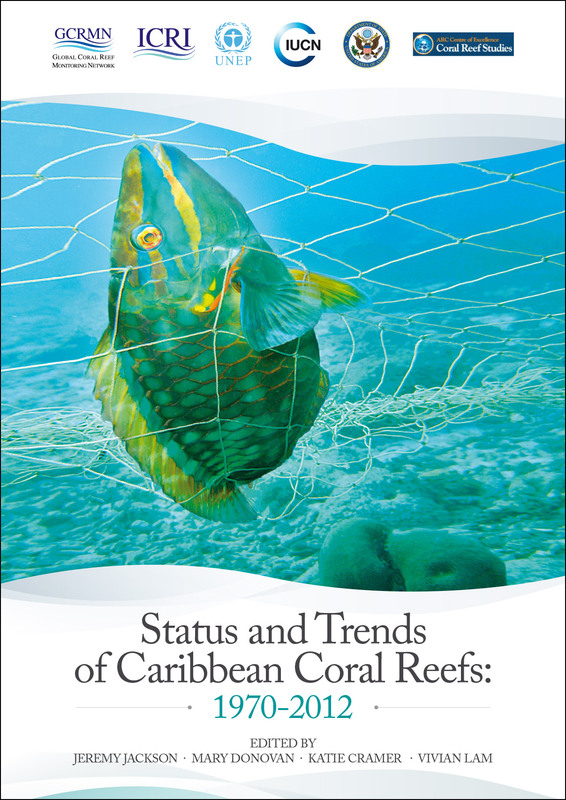 Each day a new blog post will review an issue raised in an important new report: Status and Trends of Caribbean Coral Reefs: 1970-2012. For homework, you can read the report’s executive summary. This report summarizes more than 30,000 projects on Caribbean reefs. One of the report’s major findings is called a “phase shift,” and it happens when a formerly healthy coral reef becomes smothered by algae. This unfortunate trend has been going on for decades across many Caribbean reefs. Why do these reefs deserve attention now? In essence, they represent the most vulnerable large ecosystem in the world. These underwater “rainforests” are faring worse than rainforests on land. The report gives these reefs a death sentence in about 20 years. Pacific reefs are in somewhat better shape (but not great either). The Caribbean is a smaller region, with fewer species than in the Pacific, and the explosion of populations and of tourism across the region has created a perfect storm of reef destruction. The gloom and doom is a necessary wake-up call for a region with meager resources to deal with an immense problem. The report tries to paint a pretty picture of changing from “despair to repair,” and this perspective gives some hope. False hope? You decide.